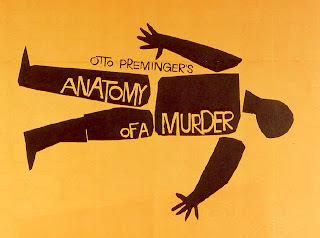 We're watching a legal movie so David can "study" for finals... Anatomy of a Murder. Paul Biegler (James Stewart) is defending Lt. Frederick Manion, after Manion shoots and kills the man who raped his wife. Believe it or not, there are many funny moments in this film. *Lap dogs like beer. It makes them sleepy. *Always insist that your client and all related parties wear girdles. Attractive jiggling is not for the public. *Everything goes in the docket. 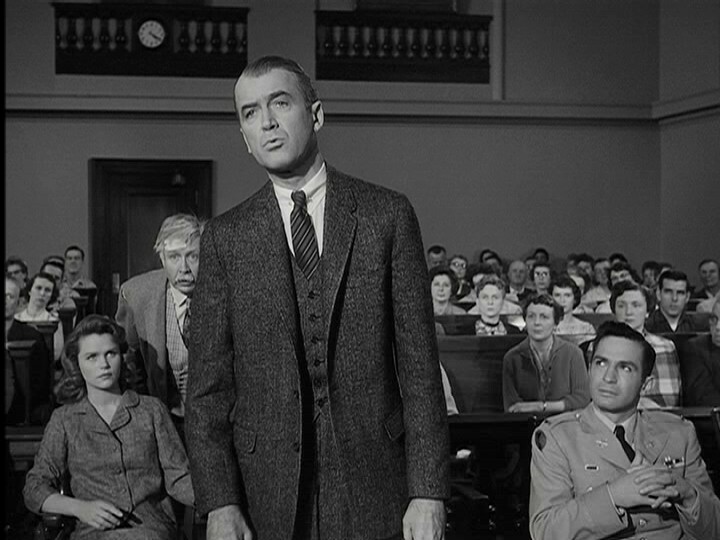 *A jury can't really disregard what it's already heard. *It's the role of the attorneys to provide the wisecracks in a trial. *The prosecution will always object to "flagrant sneaking subterfuge" on the part of the defense. *"People aren't just good or bad, they're many things." *Cute furry animals can help your case, especially if they are smart enough to turn on and carry a flashlight. *Research is important... You have to know your precedent. *Buttering up the judge never hurts. But David would point out that not everything in this movie was entirely proper. I think he's ready for finals. Three stars, and I would probably see this again. Maybe in preparation for the Bar. Love your blog - I'm really getting into classic film and this is helping me sift through to find the gold!